If you have spent any time whatsoever with an Agile project, you should be well acquainted with the idea of Refactoring. The simple explanation of Refactoring is to clean up any duplication and remove any waste so that the end result is as sturdy and error free as possible. 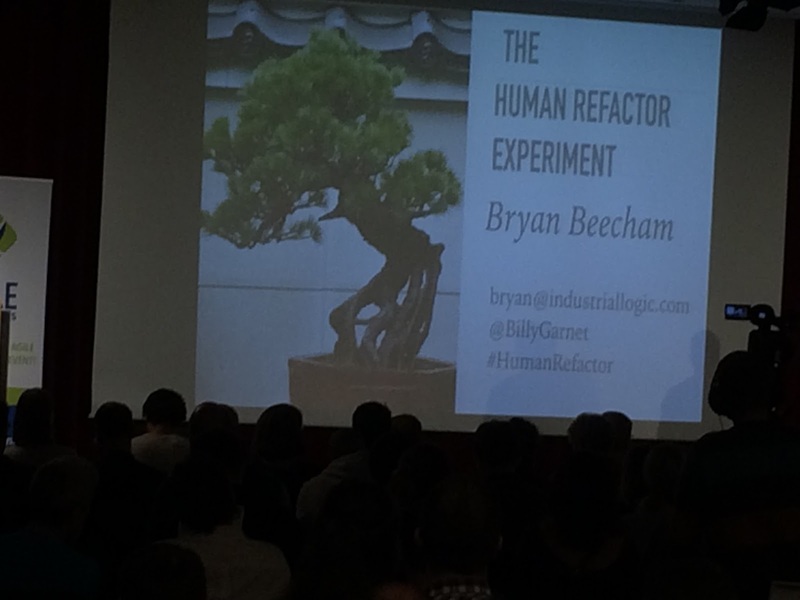 That’s all well and good, but what in the world is “Human Refactoring”? It’s the concept that, the methods we use to clean up and strengthen our code, can also be applied to ourselves. Our diet, exercise and sleep habits can be refactored (and considering the last almost 90 days I’ve had, boy do I understand this 🙂 ). We can refactor our brains by encouraging our brains to do new things. Activities that excite or calm the brain can be mutually beneficial. Sleep is a big component to helping us achieve our health objectives. Too little sleep prevents optimal healing (read: refactoring) of our bodies. The food that we eat, the substances we drink, and the air we breathe can be both beneficial and detrimental. Ultimately, it is up to us as to what we consume and in which quantities. To not beat on this too hard, I’ve come to really appreciate the solid benefits of dropping soda in favor of water, dropping packaged foods in favor of fresh foods, and looking to boost my intake of unique fruit and vegetables each given day. Additionally, I’ve moved to considering meat as a flavoring, rather than as a primary item at the center of my meals. The net result is a 45 pound drop in 90 days, with a goal to lose another 30 in the next 90 days. Exercise can be very basic, and it doesn’t take a lot to make small changes, but if you want or need to make radical changes, then you will need to put in a significant amount of time in addition to reducing calories to reach your goals. It may well be unpleasant, but it is bearable, and if you take time to get to your goals, and make small changes each day, then reaching that optimal burn rate will be possible. It will take time regardless, and dramatic changes will require dramatic effort, at least at first. I’ve found ten thousand steps a day to be effective, and I’ve also added a goal to eat 225 calories of fresh fruit every day, with 200 calories coming from fresh vegetables every day. The fruit calories are pretty easy to meet. The vegetable calories are a bit harder, but still doable with planning and paying attention. Think about the environment you live and work in. Think of your desk. Think of your chair. think of your mental environment and your co-workers and their attitudes. Can they affect you? Answer is, certainly. Something to consider it the idea of ‘The Mental Limit”. People need to believe that it is possible. the sub four minute mile was a barrier for a long time, but it quickly was surpassed after Roger Bannister became the first to break that limit. Bottom line is, we have the skills and tools to refactor code, so let’s also use those skills to help refactor our selves; our minds, our bodies, our spirits, our well being. You name it, you can refactor it.